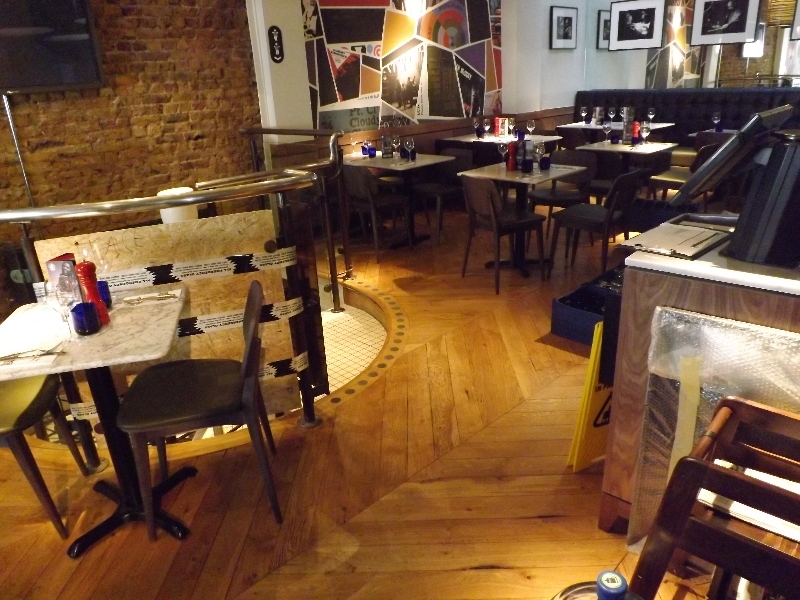 We can give your commercial wooden floor a perfect finish with our floor sanding, sealing and colour staining services. 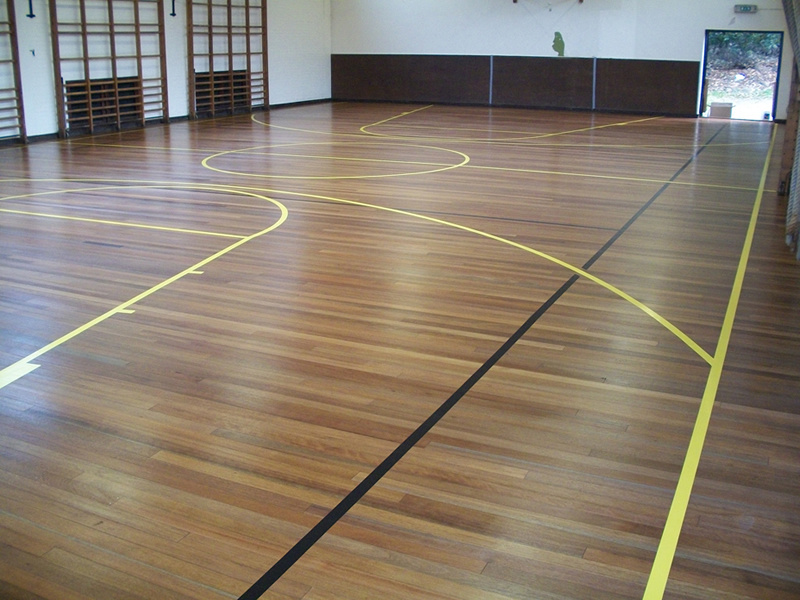 We can also repair your wooden floor to have it looking like new. We are a well-established company which provides very good customer satisfaction and an excellent service to our clients across the whole UK. 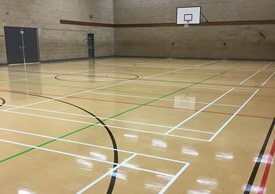 We can paint court markings on most sports floors including GRANWOOD, WOOD, JUNCKERS, DYNAMIK-HARO, TARKETT, BOEN-BOFLEX, VINYL, GERFLOR, SPORT ‘M’, TARAFLEX, ALTRO MONDO, POLYFLOR, POLYTRED, FLEXIFLOR, STANDARD and FORBO. Renovate Contracts Ltd was formed in August 2003 and currently has two Directors; Duncan MacLauchlan (Managing Director) & Olliver Whittington (Contracts Director). Duncan has been working with Timber for the past 35 years and has a wealth of knowledge when it comes down to timber. Duncan’s background in flooring dates back to 1992 when he started working as a Sub-Contractor. 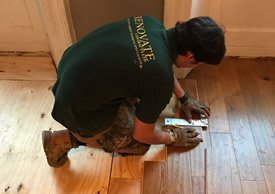 This means that he can assess, explain and problem solve the majority of flooring issues, due to his extensive knowledge and experience in the flooring industry, whether it is damp issues or sub floor works ranging from sprung floors to metal access floors. 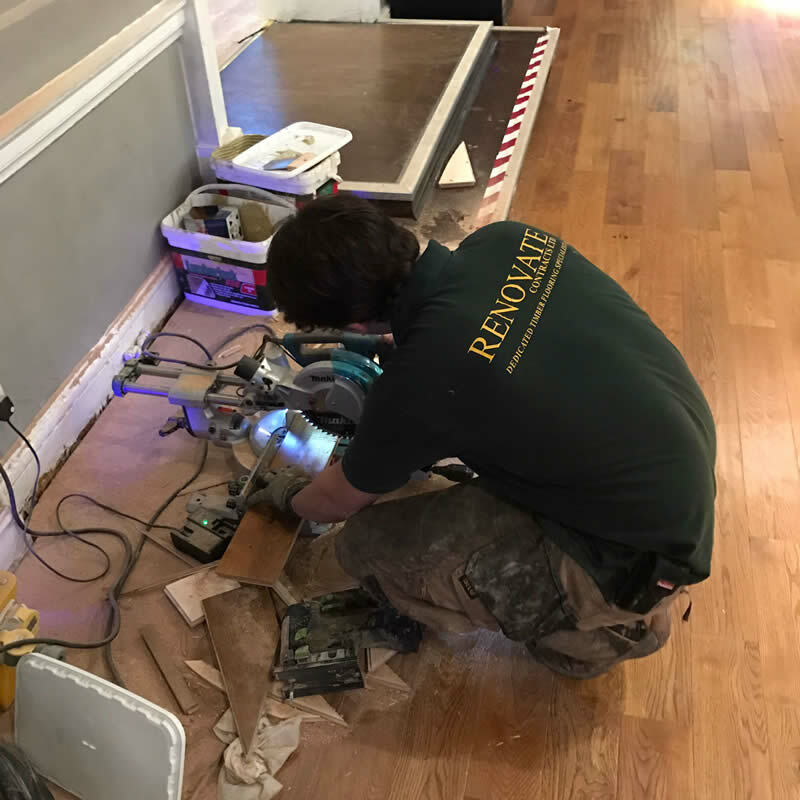 Olly started working for Renovate Contracts in October 2003 as a sub-contractor, learning as much as possible from Duncan. He has over 10 years’ experience on the tools. Olly was employed by Renovate Contracts in 2011 and has worked his way through the ranks of the Company. Olly's focus is on running the team and is predominantly responsible for winning new work and maintaining client relationships. Today Renovate continues to go forward, producing high-quality work both professionally and efficiently, on projects such as; Theatres, Town Halls, Sports Facilities for both the Council & MOD, Village Halls, Schools, Pubs, Night Clubs etc, using the latest materials and equipment, combined with the reliability for which we have become known. We have engaged an external health and safety consultant for some years now, this allows all our procedures to be regularly checked and verified, it also keeps us updated with the latest regulations and best practice. We produce bespoke Risk assessments and Method Statements, product data sheets and floor maintenance sheets, with the backup for the application of that maintenance, as needed. Our Staff are First Aid trained, CRB Checked, CSCS carded, fully trained and continually assessed in all aspects of our work. All our electrical equipment is P.A.T. Tested regularly, with our 240v ‘State of the art’ industrial floor sanders tested on a monthly basis. We are CHAS registered, members of the CFA (contract flooring association and members of Construction Line. We are approved Junckers Contractors.